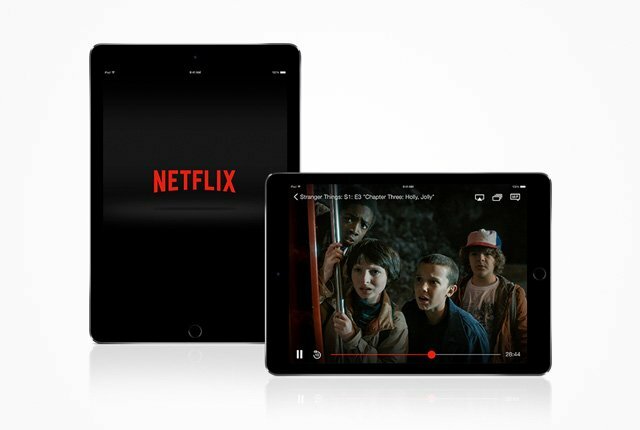 Comparitech has released the results of an investigation into which countries pay the most and the least for Netflix, based on their monthly subscription price and the amount of content available in their region. The analysis encompassed 78 countries, using information from a number of online sources to determine the availability of content on Netflix in each country examined. While Netflix customers in the United States have access to the largest number of titles out of all the regions, they do not get the best value for money. Instead, Canada is actually the country in which consumers pay the least average cost per title available on the platform. 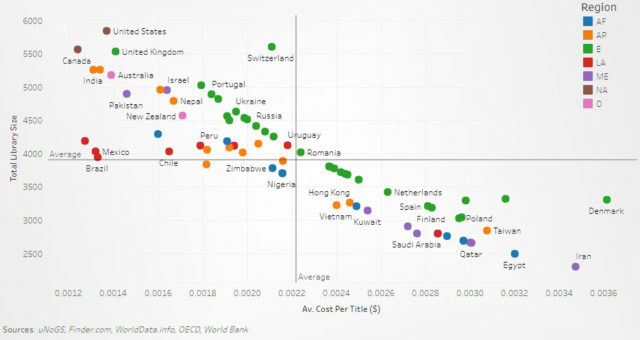 The analysis found a large disparity between countries when comparing the value of a Netflix subscription in each region, with a difference of nearly 100% between the least cost-effective and most cost-effective countries. Below are the top 10 countries in which a Netflix subscription gives the best value for money. Subscription pricing in local currencies was converted to US dollars and compared to the number of titles available to reach an average cost per title figure. Compared to countries such as Canada and the United States, South Africa does not have an especially large library of content, with a total of 4,291 titles comprising 2,792 movies and 1,499 TV shows. 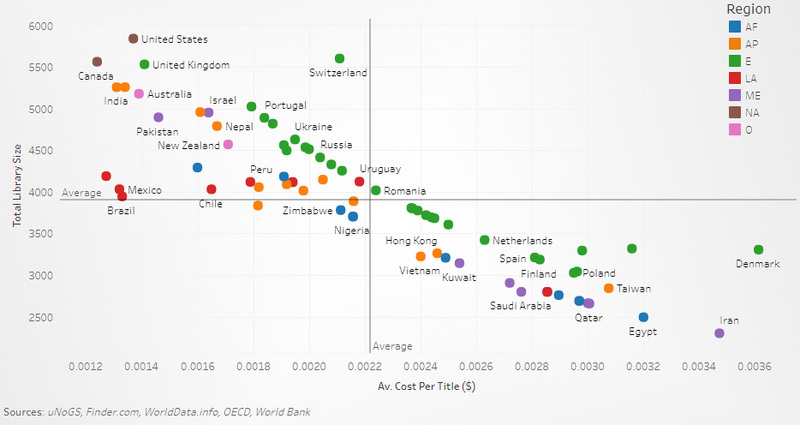 South Africa easily has the biggest Netflix library out of all African countries however, and falls well below average in terms of cost per title. The minimum monthly subscription to access Netflix’s content is R99 per month, resulting in an average cost per title of $0.00160 – or just over R0.02. While we do not have the cheapest subscription rates or the most content, South Africa fares better than most other countries in terms of value for money. Below is the average cost per title of South Africa compared with other major countries, including the United States, UK, Kenya, and Denmark. Comparing just the monthly cost of Netflix, Brazil ranks as the cheapest country in the world to watch Netflix, followed closely by Colombia, Mexico, and Chile. Following these American countries is South Africa, which places fifth in the list of cheapest countries for Netflix in the world. However, the yearly cost of Netflix in relation to GDP per capita for South Africa is 1.33% – substantially higher than the four countries which rank above it. Overall, South African Netflix users are better off than viewers in most other countries, with a subscription cost around 18.5% cheaper than the average and a relatively large library of titles. Denmark takes the prize for the most expensive country in the world for Netflix at 36.6% more than the average subscription price. Other expensive countries for Netflix subscriptions include Switzerland, Norway, Sweden, and Ireland. Contact me David Shadford, owner of Mr satellite on 0832615290 for all your DSTV, Video streaming, Music streaming, home theater, WIFI and SONOS music requirements. Mr satellite is based Southern Suburbs Cape Town and we service the surrounding area.